We will help you to make airdrop, make listing on 50 sites and telegram channels and over a million participants will learn about your airdrop! 95% ICO doesn't reach the hard cap! And if you do not want to repeat their fate - it is worth using all the existing marketing tools to the maximum and carefully selecting the performers. Airdrop - just from such tools that can bring tangible benefits to the project, or pass completely useless. We will make the plan, the scheme of awards, we will think over referral system and we will think up tasks for participants airdrop. 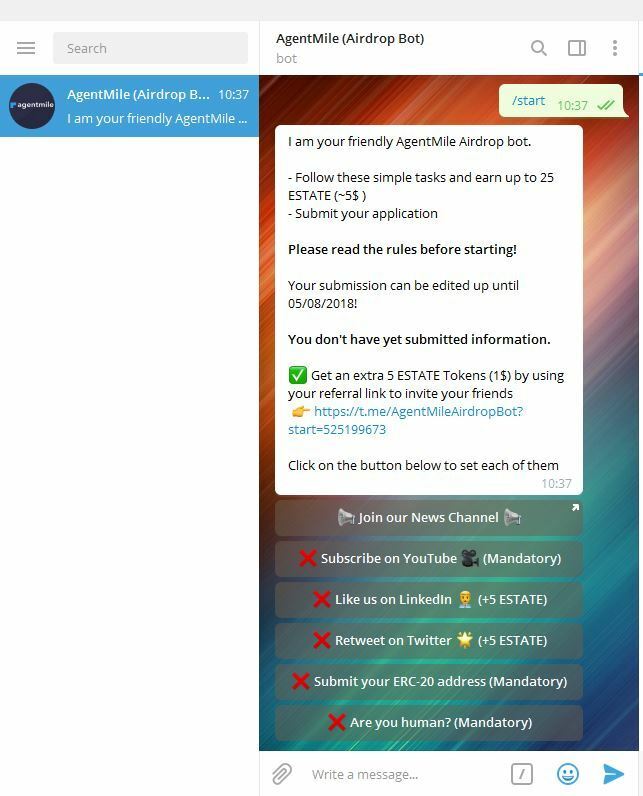 Prepare, make and listing your airdrop using Google tables, and bring up to 40,000 participants..
We will make the Telegram bot and will carry out the airdrop up to 100 000 participants. Airdrop of cryptocurrency in the form of competition - allows you to attract more real participants for less reward. 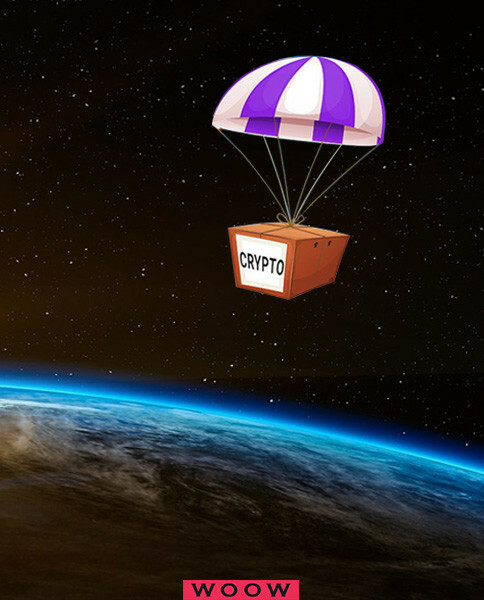 What is the airdrop of cryptocurrency? Airdrop is when you offer people for a small number of your tokens to join your social networks, make reposts of one or several messages, register on the site and in the white list, write a comments on the forum and so on (usually from 3 to 15 different tasks) . After the participant has did the actions - he fills in the report (logins for social networks and links to reposts / messages). If you have a referral program, then the participant can invite his friends and earn additional tokens for this. From the bounty the airdrop differs in that all tasks can be performed for 1 time, but the reward is much less. The second important difference is the number of participants. In the bounty campaigns, an average of 1000 people take part, in airdrops up to 100,000, an average of 30-40 thousand! Those you will have 30,000 subscribers on Facebook, 30,000 subscribers on Twitter, YouTube, Instagram and so on. And as many reposts, likes, views. Tokens to participants you distribute only after a successful ICO! Many subscribers in social networks cause trust. The project, which has 30,000 subscribers, looks much more attractive than the one who has 300. 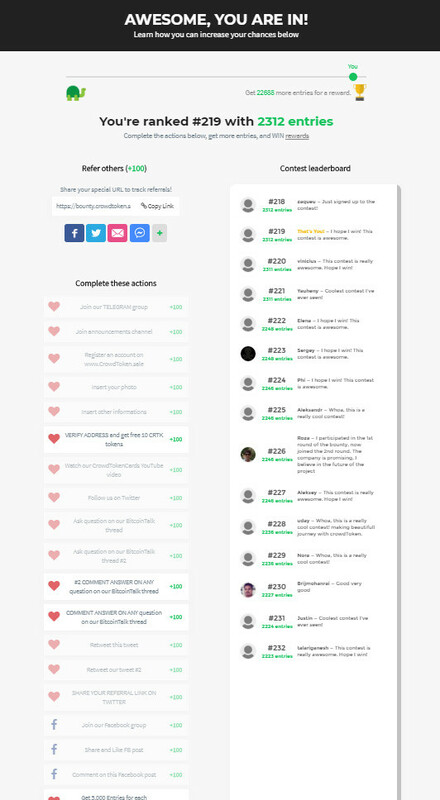 The members of the airdrop write only positive comments and feedback, as a result, social networks are filled with thousands of positive messages about you. Apart from modest payment to us, you do not carry any more expenses until the end of the ICO and the distribution of the tokens. Thus, at the first stage you get almost free advertising. The members of the airdrop raise your social networks up with their messages and other actions, as a result more and more people are starting to find out about you! Quickly and simply, you can organize an airdrop with 4-7 tasks. Suitable for small airdrops. The most perfect kind of airdrops, the participants compete for the first places trying to invite as many people as possible. 10-20 tasks. The telegram bot is convenient and simple. Suitable when there are few tasks (4-8), but it is necessary to attract a lot of people. Below we consider all three formats in detail. You can not add or change tasks during the airdrop. This format is suitable for small airdrops, for example if you are just starting out and want to test this direction for 5000 participants. Less expenses for participants' rewards. We just set a good reward for the first places, and a small one for the last ones. And the participants start to fight for the championship, performing all the new tasks in order to score more points. At the same time, your expenses do not increase! It does not make sense to hold such an airdrop to attract a small number of participants (up to 10,000). This format is suitable for serious projects that are ready to pump all social networks right away and get the most from the airdrop. The best way to score 100,000 participants. 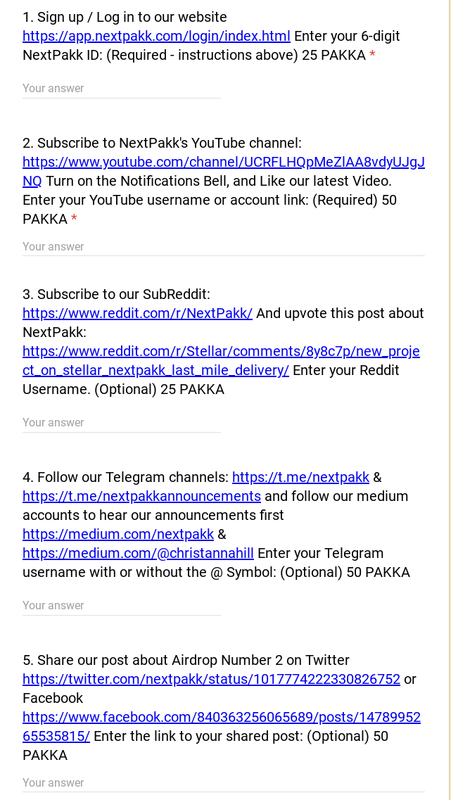 Telegram bot is ideal if you want to get maximum participants in 2-4 social networks. We need only some amount of data about your company. Fill out the application and we will start working right away. Based on your goals, we will develop a remuneration scheme and prepare a technical task. We are sure, that we make airdrops the best and at one of the lowest price. We accept BTC, ETH and Fiat from card to card (Mastercard/Visa). Unfortunately, we do not accept payment tokens, since up to 5 employees are involved in the preparation of each airdrop, and we also pay for hosting and other services. All of them want to get the finest money. 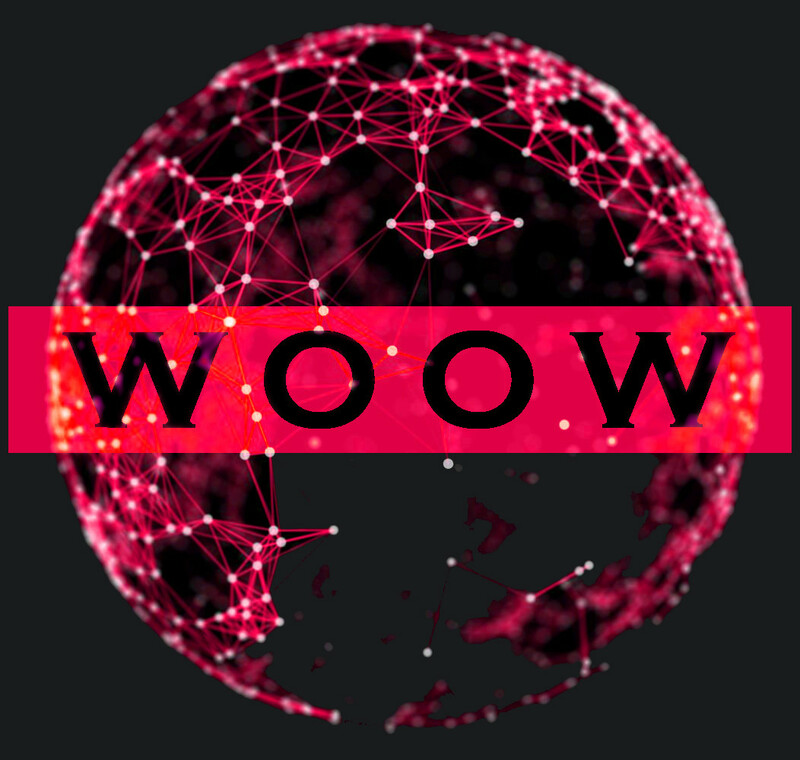 We will develop a system of rewards, a referral system, we will make up to 20 tasks and arrange it all on the airdrop page. Then we publish it on the Internet and you will be able to test how it works. It will only be added to the sites, groups and channels of aggregators of airdrops. After payment, we will once again check all the tasks and approve them with you. If necessary, we will make changes. After the page of your airdrop is ready, it is necessary that you know about it. We place information about your airship on 20-50 resources. This work takes about 2-5 days, during which the first participants will start coming. Completely working airdrop, new participants come and invite new ones (virus spread). In 30 days we sum up (or earlier, if the necessary number of participants is reached). We count the number of participants and expect payment. After payment, we give you a table with all the data, logins and answers of each participant. If required - we can extend your airdrop. You have thousands of new members on social networks, discussions continue on the forums, tens or hundreds of thousands of people figured out your product. Also, you have a base of people to whom you can continue to advertise your ICO. More than 350 000 participants are attracted by the airdrops and bounty companies created by us. The average conversion of sites that we do. It was stolen from the projects that we did. Attracted investment for our customers. Why have we been selected by 36 companies? We are engaged in marketing since 2005, we know and love our business! For example, before starting to do airdrops, we analyzed and participated in more than 300 airdrops. It took two months, but now we can definitely say that we make the best airdrops! Because we know what works best, what does not work, on what platforms it is better to do airdrops, how to build an ideal system of rewards and so on. The first made by us airdrops this confirmed, so exceeded the expectations of customers. And now the number of successfully conducted air stations is measured in tens. WHAT IS AIRDROP DIFFERENT FROM THE BoUNTy CAMPAIGN? 3. Tasks. In bounty campaigns, tasks are repetitive (eg write one post on Facebook every week) for two months. Airdrop implies that all tasks can be done at a time. But since the new members come all the time, until the airdrop is over, you also have new reposts and messages every day. WHAT IS BETTER, AIRDRoP OR BoUNTy? In the bounty campaign usually takes part about 1000 people. Most of them are professional bounty hunters, with untwisted accounts, in these accounts all are subscribed to each other by the hashtag #followback and the like. Twitter and facebook of such people or who does not read, because there are only advertising posts, normal people have long since unsubscribed. Thus, potential investors are not attracted by bounty. The main benefit of the bounty is the translations of Whitpeper and other materials. In the airdrops, the entrance is much easier. Anyone can take part in the airship for a few minutes. Due to this there is a constant influx of new people. Most likely they will have social networks with fewer subscribers, but among them there are real people. In addition, in good airdrops, a referral system has been implemented that stimulates the attraction of more and more new participants, who have subscribers with still not blurred advertising eyes. Another bonus of the airdrop is the ability to do many more tasks than in the bounty, including registering and testing your product, writing reviews or comments, and even clapping on the medium. And the most important is that the number of participants is at least an order of magnitude larger (from 10,000) than in the bounty. This does not mean that you need to abandon the bounty in favor of airdrops. It is just necessary to evaluate the potential result sensibly. Bounty are translations of everything that can be translated and ticked for investors "there is bounty!". Airdrop is a lot of social activities, users of your product, excellent figures in social networks, good information noise, a positive image of your company, and with competent further work with the participants some of them can even turn into your investors. WHAT TO CHOOSE, AIRDROP OR BOUNTY? We do not think that you have to choose one thing. Now, with the amount of ICO that launch every day, you need to use all the tools that are, to the maximum. 1. Reduce budgets in the bounty on social networks (social campaigns on Twitter, Facebook, etc..) to a minimum. And to spend these tokens on the airdrop. 2. Very carefully choose the bounty manager. To one manager who does not go to participate, to the other will go all. Some do not check the reports and simply charge everyone equally, others check and consider whom to charge. Some managers will add a dozen of their accounts to the report, others behave honestly. Therefore, it depends on the manager's bounty whether there will be a redempt from this campaign, or it's wasted tokens spent. 1 round. When there is an idea and designed social network, preferably a site. You can recruit subscribers to social networks, get feedback from people about your project and make adjustments if necessary. And you start looking for potential investors. 2 round. Starts before privat sale. You raise activity in social networks, create a positive information noise about the project. You get feedback. You continue to search for potential investors. Round 3. Starts before the Pre-ICO. You raise activity in social networks, create a positive information noise about the project. You continue to search for potential investors. You fill the Witelist. You get the users of the product (if any). 4 round. Starts before the ICO. You raise activity in social networks, create a positive information noise about the project. You are looking for potential investors. You fill the Witelist. You receive product users and register on the site. Round 5. Starts after the ICO. You raise activity in social networks, create a positive information noise about the project and increase the price of tokens. You get the users of the product. DO YOU ACCEPT PAYMENT IN TOKENS? We accept BTC, ETH and Fiat from card to epayments mastercard. Unfortunately, we do not accept payment by tokens, as up to 5 employees are involved in the preparation of airdrop, and we pay for hosting and other services. They all want to get fiat money. However, we will be happy to have a small bonus in tokens if you liked our work. We have a proprietary cheating algorithm that detects cheaters and prevents them from being chosen when you go to pick the winners. We don't reveal our algorithm publicly, because if we did it would make it that much easier to game our system. We pride ourselves in being one of the most advanced cheating detection systems for airdrop contest software out there.